Another year, another set of resolutions. 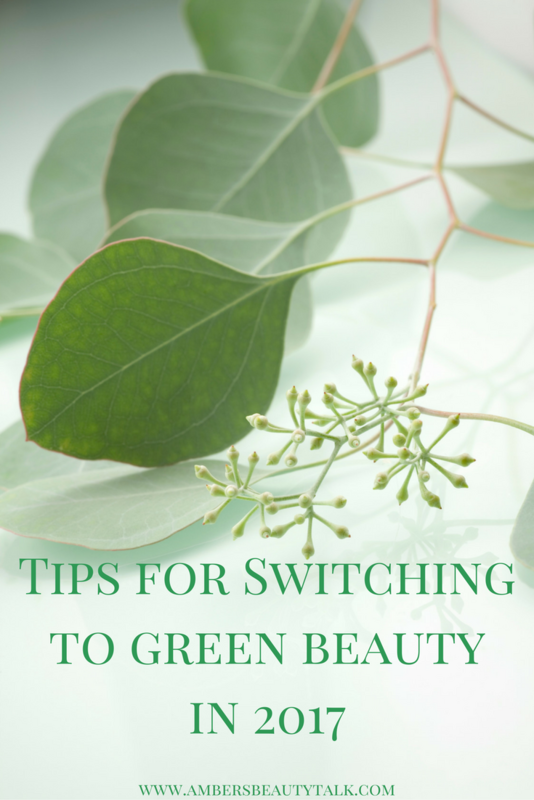 If switching to natural & organic skincare and beauty products is on your list this year then keep reading as I've got my top tips on how to swap your normal products for greener options. There's a couple of ways you can go about swapping your products; do it all at once and swap everything or switch things out once your normal products are empty. I recommend the latter, as it's unlikely you will like everything that you try and that way you can work out what suits your skin gradually. The best products to swap first are the ones you use most regularly like body washes & lotions, cleansers and foundations - this will vary from person to person however those are my most used products. Decide on which product you'd like to swap first and do your research on what to buy through reading natural blogs, asking for advice at online stores etc. If you're unsure where you can find truly natural products (trust me, it's not that easy to decipher between natural and green-washed products) then take a look at my Where to Shop post. It's full of amazing online and brick-and-mortar stores in the UK, Europe and USA where you'll be able to find the best natural and organic skincare and make-up brands. Don't hesitate to contact them either to ask for recommendations as they'll be able to guide you on what's best for your skin type or what you're looking for. A great way to sample products before buying the full size is to subscribe to a natural beauty box. Love Lula have a monthly subscription box and there's also Beauty Heroes which is a US brand but they do ship to the UK and trust me, they're worth it! Naturisimo and Pure Natural Box also do beauty boxes however you don't have to subscribe, they pop up every couple of months or so, meaning you can decide if you'd like to buy after you've seen the contents. A book I'd highly recommend if you're starting with natural beauty is The Nature of Beauty Book which is written by Imelda Burke, founder of my favourite natural store, Content Beauty & Wellbeing in London (& online). It was released in December last year so I'm still making my way through it however it's packed full of advice and recommendations from Imelda herself on green beauty. If you ever have any questions or advice/recommendations then feel free to get in touch via email or social media! Also don't forget to check out my Green Beauty Newbie series on my blog where I share tips & advice on where to shop, books, ingredients to avoid, greenwashing & more!